Adaptive immunotherapy using redirected chimeric antigen receptor (CAR) T cells against leukemia has led to promising results with improved patient survival. The continuously increasing interest in those advanced gene therapy medicinal products leads to a manufacturing challenge regarding automation, process robustness, and cell storage. In this respect our results from a study for relapsed Melanoma regarding manufacturing of CAR T cells in a closed and automated system gives rise to improve harmonized manufacturing protocols for engineered T cells in future gene therapy studies. In contrast to T cells, natural killer (NK) cells are known to mediate anti-cancer effects without the risk of inducing graft-versus-host disease, which makes them a promising source for third-party-donor immunotherapy. However, tumor cells can escape NK cell immunosurveillance by tumor immune escape mechanisms (TIEMs). In order to overcome TIEMs and to make NK cell-based therapies more specific, we engineered primary human NK cells to express a CAR designed to recognize CD19 or CD123, which are highly expressed on the surface of primary acute lymphoblastic or myeloid leukemia, respectively. NK cells were transduced with state-of-the-art alpharetroviral self-inactivating (SIN) vectors encoding EGFP alone as control or a second or third generation CAR engineered with an anti-CD19 or anti-CD123 single chain variable fragment (scFv) and containing the CD28 transmembrane domain, the 4-1BB costimulatory domain, the CD3ζ signaling domain and an internal ribosomal entry site (IRES) element for EGFP expression. 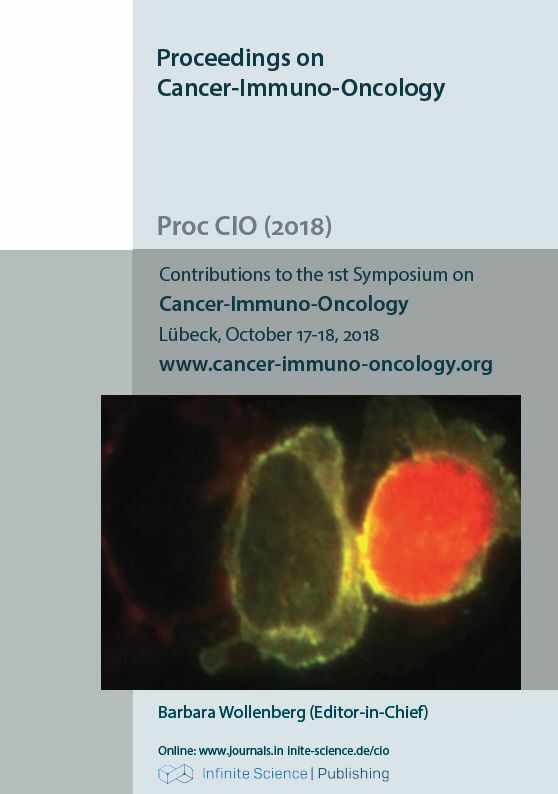 CAR-modified NK cells showed a strongly improved cytotoxicity against leukemic cells compared to activated NK cells with a nearly complete elimination of leukemic cells after 48 h. Moreover, our side-effect studies demonstrated minimal or no cytotoxicity of CAR NK cells against PBMNCs and lung epithelia cells, respectively. Since autologous T cells cannot consistently be expanded ex vivo for all patients, third-party allogeneic CAR NK cells as an “off the shelf product” may serve as an alternative strategy. Since NK cells have a significantly shorter lifespan than T cells, off-tumor toxicity might be reduced. However, for durable anti-tumor effects immature CAR NK cells or repeated cell infusions of mature CAR NK cells might be necessary.